Just one more reason to love California. You don't even have to ask the barrista for it. 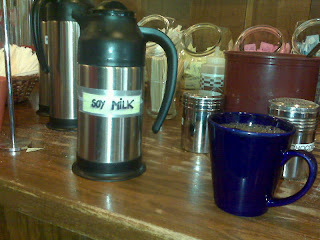 The Soy milk is just sitting out there, looking to bring some love to your coffee.